They say that life always comes back full circle. Today the shoot for Abhishek Sharma’s The Zoya Factor began with Sonam Kapoor in Mumbai. The movie is a screen adaptation of Anuja Chauhan’s novel of the same name and stars Sanjay Kapoor and Sikander Kher. Sanjay plays father to Sonam and Sikander in the movie. Interestingly, Sonam and Sikander share a history as the actress had played a role in his engagement in 2016 (which was broken off a few months later). 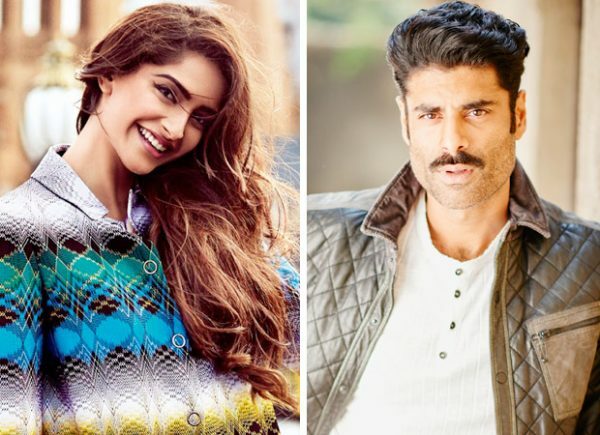 The Zoya Factor is being shot in an apartment in Mumbai and will be picturised on Sanjay Kapoor, Sonam Kapoor and Sikander Kher for a week in its first schedule. Dulquer Salmaan, plays the male lead and will join the cast from Friday. Sonam plays an executive in an advertising agency, Zoya Singh Solanki who meets the Indian Cricket Team through her job as and ends up becoming their lucky charm for the 2011Cricket World Cup. Dulquer plays the cricket Captain of the Indian team.